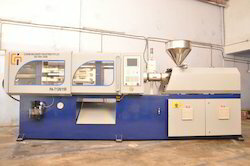 Our product range consists of fully automatic injection moulding machines, special purpose moulding machines and two colour moulding machines. All our products are developed and designed with highly innovative and functional technologies to provide consistent trouble free performance, guaranteeing energy saving, maximum productivity, higher profitability to customers. We are exclusively engaged with our expertise in supplying a wide assortment of Injection Moulding Machines for Packaging Industry. This machine is manufactured using premium quality components and other raw material with the help of our skilled professionals. Our machine design has a simple, robust and attractive, heavy duty integrated casted five point pin toggle construction. 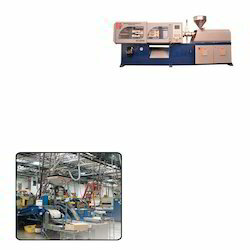 We are exclusively engaged with our expertise in supplying a wide assortment of Plastic Injection Moulding Machines. This machine is manufactured using premium quality components and other raw material with the help of our skilled professionals. Our machine design has a simple, robust and attractive, heavy duty integrated casted five point pin toggle construction. The machine offered by us is tested on various industry parameters in complete compliance with the universally accepted standards.